Will the tenant pay for Electricity? Will the tenant pay for Gas or Electric energy source costs? Will the tenant pay for water/sewer? Will the tenant pay for trash collection? Which appliances (if any) will the tenant provide? It views the landlord's requested rent from an affordability standpoint. HUD regulations stipulate that the rent be both reasonable and affordable. Therefore, even though the calculator shows that the requested rent is affordable, this does not mean that it is necessarily reasonable. Once the rent reasonableness test has been conducted, you could be presented with a final rent offer for less than your original request, because of this. Income, family composition, payment standards are subject to change after the completion of the affordability test. Unit bedroom size to be confirmed at the inspection. This calculator is a guideline for rent costs only. This calculator does not necessarily represent your actual final rent costs. 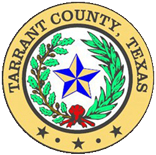 Tarrant County provides the information contained in this web site as a public service. Every effort is made to ensure that information provided is correct. However, in any case where legal reliance on information contained in these pages is required, the official records of Tarrant County should be consulted.